Thank You to Everyone that Purchased Calves in 2014!!! King Family Farms is a 4th generation family operation dedicated to the promotion of quality purebred and club calf styled cattle. We have been in the cattle industry since 1919 and understand your needs as a cattleman. This cattle operation was started by William Fogarty and his son Keyron Fogarty. This operation is continued on with Keyron's daughter Aletha King and her three sons, Jon, Jason & Joe King. We hope this site brings some of our farm to your home and would invite you to visit not only our website but welcome you to any of our farm locations. 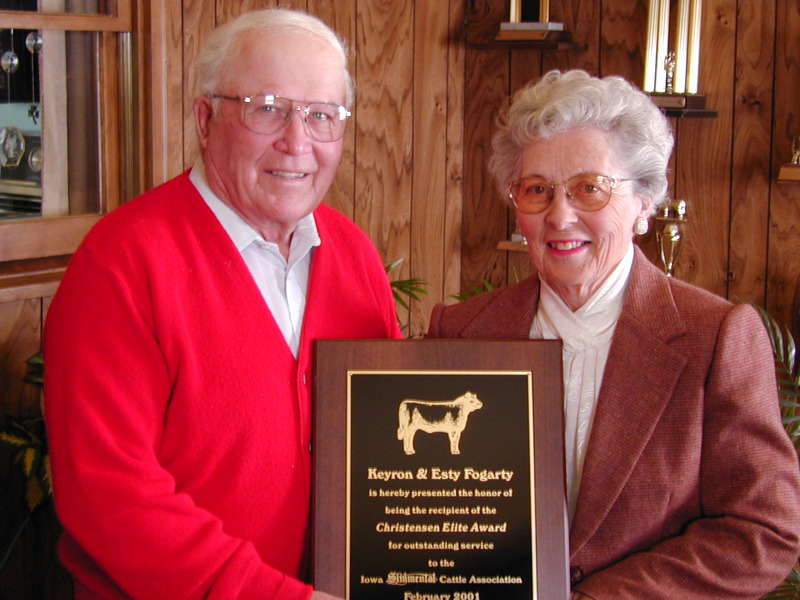 Keyron & Esty Fogarty were presented the Christensen Elite Award in 2001. Send e-mail to agr1557@alumni.iastate.edu with questions or comments about this web site. Copyright © 2015 King Family Farms. All Rights Reserved.